If there is any makeup trend that took the world by storm and managed to convince even the most regular of folks that they needed to master the art (I refer of course to myself) it is contouring. With compacts and palettes available now from almost every brand, it is so easy to sit at home and play around with creating illusions of shadow and light for a more chiselled, defined looking face. For me there was one highly conveted palette I just needed to have in my life to help me on my way to becoming a contouring connoisseur. In my Sephora haul post I mentioned that I would be giving this a thorough testing before reporting back with my thoughts and you can be sure that I have. This striking palette comes in sturdy cardboard packaging, with a large mirror and secure magnetic closure. 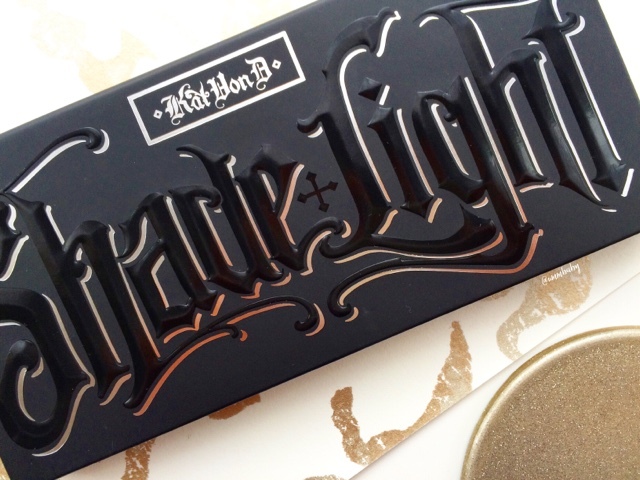 It also comes with a product and contouring guide illustrated by Kat Von D and the overall design is attractive with bold lettering. Inside you get 6 pans, 3 smaller pans with highlighter shades and 3 larger contouring shades. Each powder is matte in appearance (more about this later) and they are organised in 3 sets of undertones - cool, neutral and warm. The highlighter shades contain 2.3g of product in each pan whilst the contour shades are almost double in size containing 4.5g of product in each pan. The powders are each highly pigmented and you only need to tap your brush into the pan to pick up colour. They are really powdery though and there is always a lot of fall-out from each pan which is slightly frustrating. 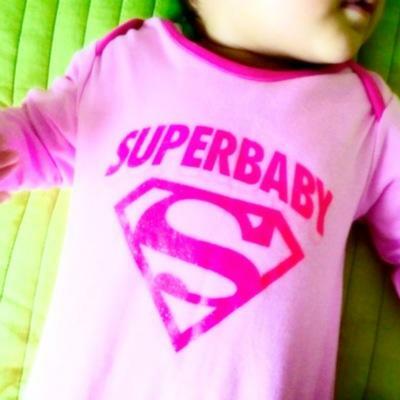 But once applied to the skin, they blend easily as they are so soft. Although they appear matte in the pan and in swatches, I personally don't find these matte in finish at all. If anything, they come across satin matte on the skin so rather than flat they have quite a radiant finish, especially the highlight shades. This light pinky beige shade can pull a little ashy on me on its own so I like to mix this with either of the other 2 highlighter shades - with Lyric for a super brightened under-eye highlight and with Levitation for extreme reverse contouring. This highly raved about shade is a bright yellow beige that is a good match for my skin tone. I prefer to use this under my eyes and along the high points of my cheeks for a bright highlighted effect. This peachy beige shade is the most interesting because at first I was sure I wouldn't get much use out of it. This is actually a great colour to use directly underneath my contour shade to sharpen the contour for a super chiselled look, without changing the colour of my foundation too much. It's also great around my mouth or under eyes because the peach tones help to mask some of the pigmentation. This is the perfect subtle contour shade when I want to carve out some cheek-bones without making it obvious at all. 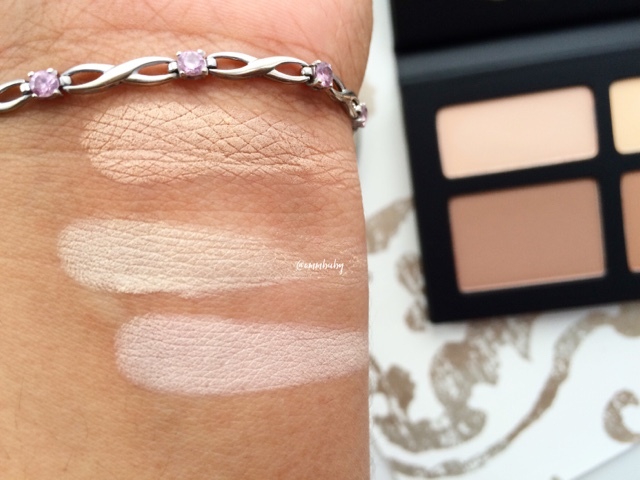 Although I rarely attempt to contour my nose, this shade does work very well for this on me. It can be a little too cool toned for me if I apply too much. This works amazingly as a bronzer to warm up my whole complexion. 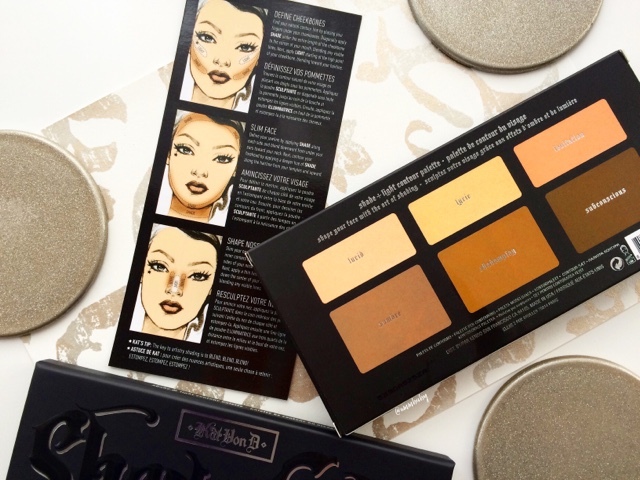 It can be used for contouring as a slightly warmer contour does work on me. This is the perfect contour shade for when I want extreme obvious contouring, especially great for special occasions or evening events. I actually really like this shade because it can be applied and blended lightly and works great in the crease and lower lash line too. The contour shades are a lot easier to work with for me as I have been able to apply them with an angled contour brush, a duo-fibre brush and a powder brush without any issues. The highlighter shades needed some experimenting. 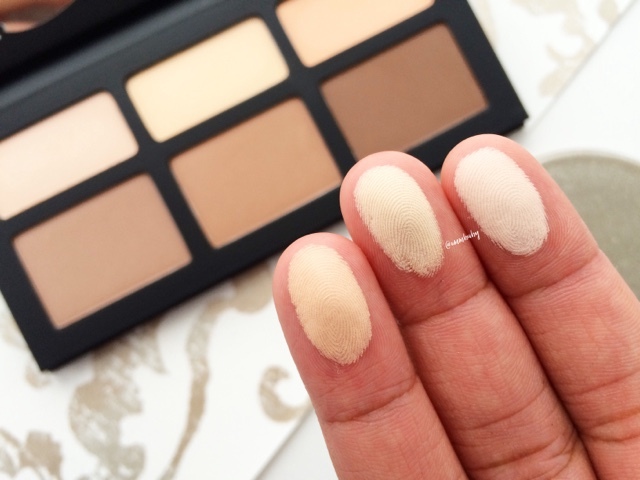 I found that powder brushes, even when using these to set the under-eye area or whole face, didn't place the product evenly enough and it appeared patchy. My trick using a damp sponge does not work with these either as these powders cake up if you apply too much to one area. The best thing I've found it using a smaller brush like the Real Techniques Setting Brush (review here) and working the product onto smaller areas as a time. The contour powders are easy to use and last a long time on the skin without accentuating any dryness or dissolving away as the day goes on. Where I have had issues is mainly with the highlighter shades in how well they perform over time. Whether I am using a matte foundation or not, the lighter powders seem to cling to the skin in a weird way or sit on the skin in an unnatural looking way. They also don't last very long and start to break down and disappear quickly, creating obvious patches and unevenness in the makeup. 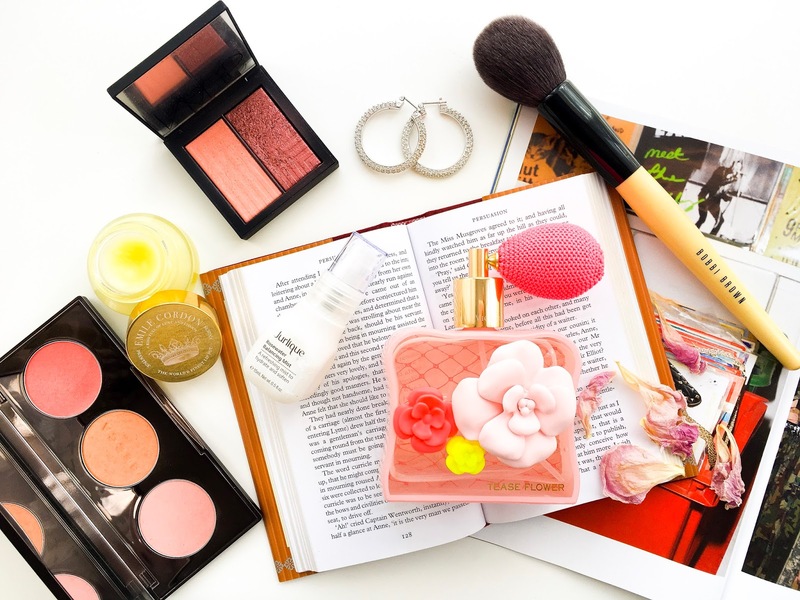 The way that I have found I can overcome all of this is by powdering my entire face as usual with a separate powder, and then by going and adding the highlighting shades on top, where desired. It stops them from clinging or creasing and they seem to last longer this way too. The only problem is that this means I am having to wear a lot more makeup on my face than I would want and that I can't use these powders for quick, regular every day makeup. But overall, the finished result of using the palette for both contouring and highlighting is absolutely stunning. 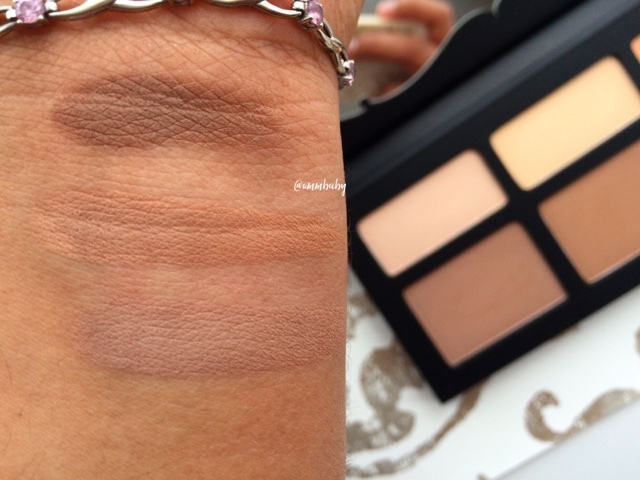 It gives the face a flawless, sculpted look with a sheen and radiance that I don't get from my other contour kits which contain either shimmery shades or flat matte shades. I can use all the colours for something or another and they're also great for mixing and creating other hues. There's nothing worse than paying so much for a product which contains things that just don't work on my skin tone. The formula of the powders is so soft and buttery and really help to create a contour which is perfectly diffused and not sitting on the skin like a stripe. I love that I can adjust the intensity of my contour too. 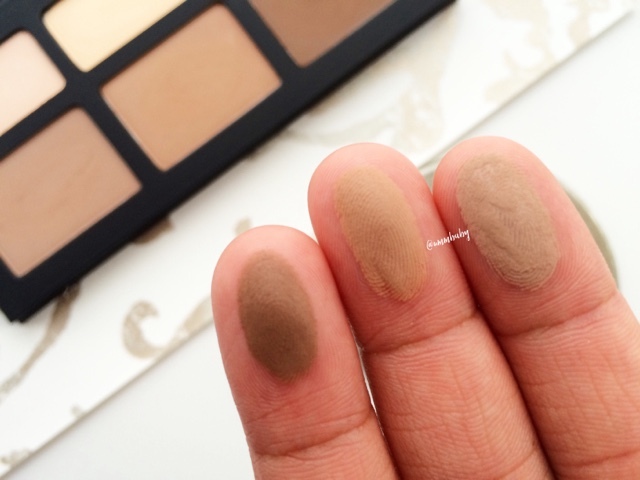 The powders are versatile and can be used all over the face, especially the brown shades which work as eyeshadows too. I love the large mirror and I am so glad the palette makes use of that space. 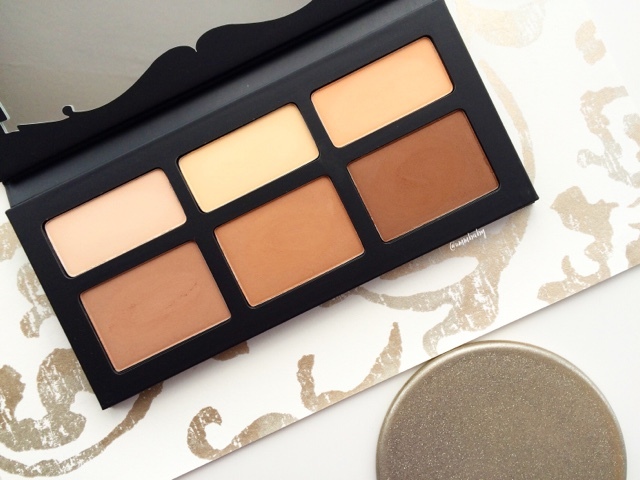 The name is creative and explains the science behind the trend, and distinguishes it from other contour palettes. There is so much powder kicked off when you dip the brush in it feels like I am going to use a lot of this product up just by blowing it off the palette. The highlighting shades are not as long-lasting as the contour shades and I need to wear extra makeup to make them work on my skin. I wish the pans were all the same size because I know I don't use as much of the contour shades as the lighter shades and because the pans are not removable and replaceable (yet), I panic when I think what will happen if I use any of the lighter shades up too quickly. Availability here in UK is an issue although there are some online stores that specialise in bringing US products to us here. I ordered mine from Sephora and so you have to add taxes, shipping and customs to the price. 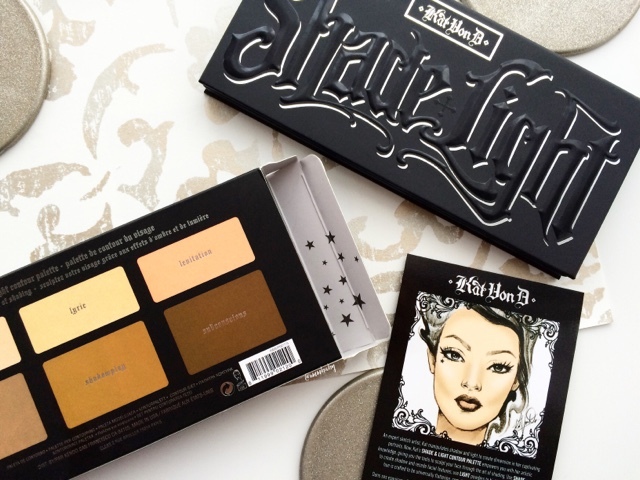 I am not sure how well those with super pale skin or super dark skin will be able to use this palette even though the palette claims to be universally flattering. I am really glad to have this palette in my collection because it contains so many different shades that I can use to create a variety of looks and effects with. 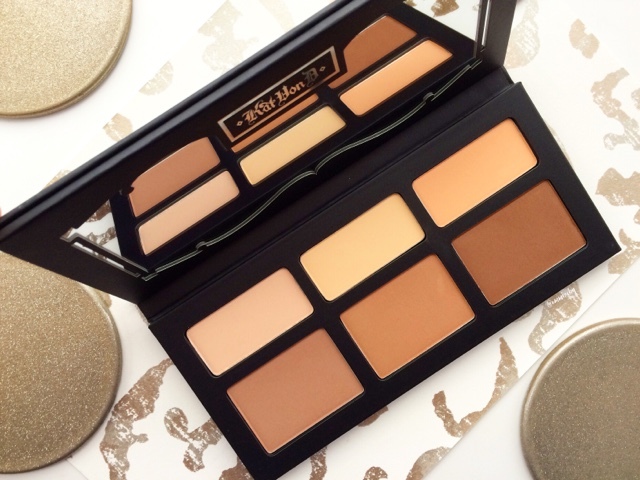 It is sort of like having all the best bits of my favourite drugstore contour kits in one fabulous palette. 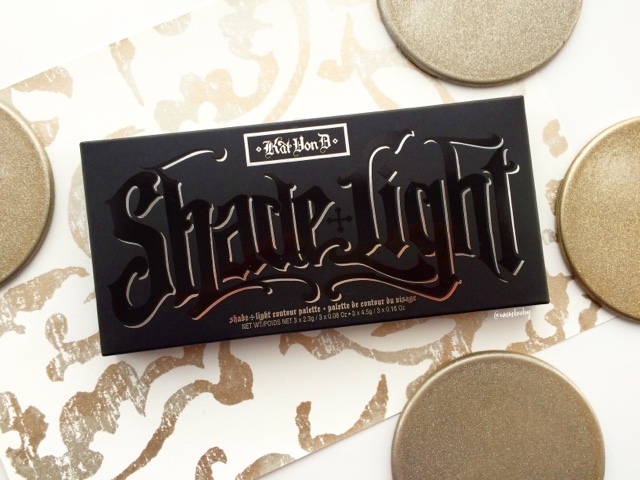 If you are into contouring or you like playing around with makeup a lot or you just love to collect iconic pieces, then you will really appreciate having this in your stash.